Reflections: How do I knw what is my 'calling'? How do I knw what is my 'calling'? I know that we want we want quick, convenient, limited and isolated answers, that right now there is a requirement of an answer to this particular life-question, kindly supply me the answer. You are asking, “How do I know what is calling?” But it doesn’t happen that way. You cannot get answers to one thing without knowing the answers to everything. You cannot know anything in isolation. Now you are asking, “How do I know what is calling?” Can you know what is calling, without knowing what is ‘life’, without knowing what is ‘God’, without knowing what is ‘freedom’, without knowing yourself? How does one know anything? Right now because there is a demanding situation, right now because life has thrown up a challenge, and it is demanding an answer from you, you are eager to ask that what is your calling. You want to know what is right for me, you want to know which decision to make. 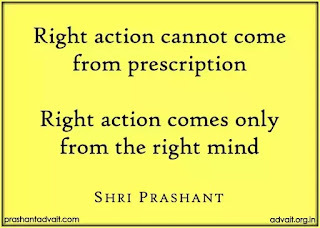 Fundamentally you want to know what is the right action? 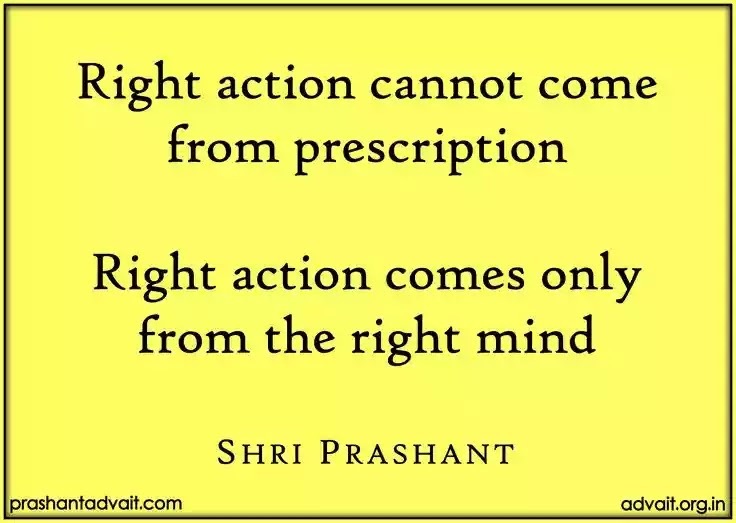 Now is right action required only in this situation or is right action required at every point in time? See, what happen is that in other situations we conveniently forget and remain in our dream world of ignorance, like a patient who after developing cancer goes to the doctor and asks that what should I eat now. Now what is the point in asking this question. You eat what you wanted to eat all your life. Why are you asking what to eat and what not to eat? This question has only limited utility now. Knowledge is fragmented; understanding is not. Please understand this. Knowledge is fragmented and it will always remain fragmented. After all how much knowledge can you have? Knowledge will always be limited and knowledge is an ever-expanding domain. So you will always have some knowledge in some particular area, and the vast expanse of knowledge will be outside your mind. You will never have it. With respect to knowledge it is alright. When you say, “I know of this thing but I do not know of this thing”(stressing on the word ‘of’) then you have made a valid statement. You can say that I know mechanical engineering, but I do not know electrical engineering. Good! Correct! But you cannot say that I know freedom but I do not know God. What rubbish are you talking? You cannot say that I know the right thought but I do not know the right action. Come on! Now ‘calling’, that is the subject you are addressing, ‘calling’ cannot be known without knowing ‘love’. It’s the heart that calls. You want to know right career without knowing the right place of the mind. Right? This is what you want to know. You want to know that what is the right career for you. Who decides the career? Mind. 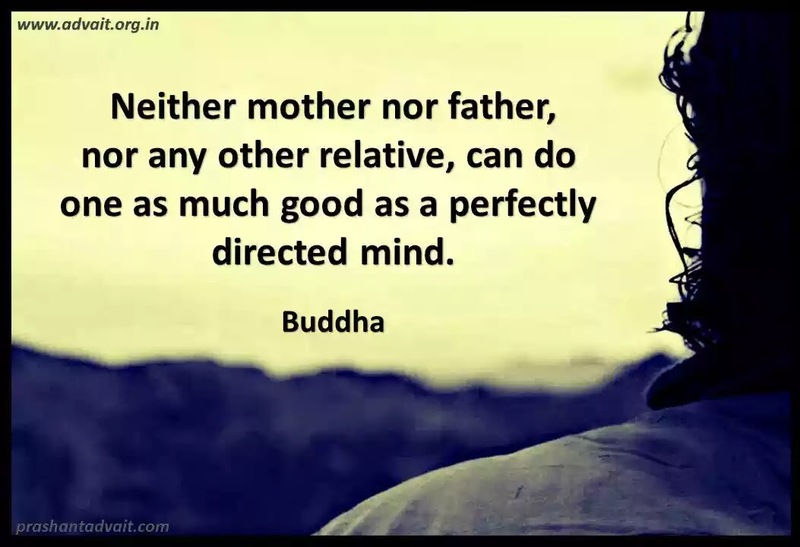 Is the mind in the right place? When the mind is not in the right place, how will you ever know the right means of livelihood? But such is the depth of our ignorance. Only a spiritual mind can take even the smallest right decision. You are deciding all the time. Right? You are deciding for example, which feet to put first- left or right. Even that decision cannot be made correctly by you. You cannot make even the smallest decision correctly without a spiritual foundation. Only a spiritual mind can take any right decision, any right decision. But you don’t want that, because that involves surrender. All you want is right prescription, that right now I am facing this problem, so please solve this problem for me. I am repeating, there is only one fundamental problem- your mind. Solve your mind, all other problems will be solved. Without solving the fundamental problem, no problem can be solved. You know, there is a very popular game that kids play. In this game many kids run around and one of them is supposed to touch the rest others and turn them to a statue. So one kid goes and touches another kid, and this kid becomes a statue. He cannot move. But this first kid has to touch other kids also to defeat them and turn them into statues. The rule of the game is that you touch one kid, he turns into a statue. As soon as you move away from the statue to touch another kid, the remaining kids come and touch the statue, and the statue starts moving again. So you solve one problem, and by the time you relax and turn towards other problems, the first becomes alive and kicking again. And you are only running and running. You think that you have solved one problem, the problem comes back. You will just be fooled that you have solved a problem. Problems will keep coming again and again, like a recurring disease. What else is our life? A series of diseases. Sometimes the disease comes in one form, you attack the disease, and then the disease comes in another form. 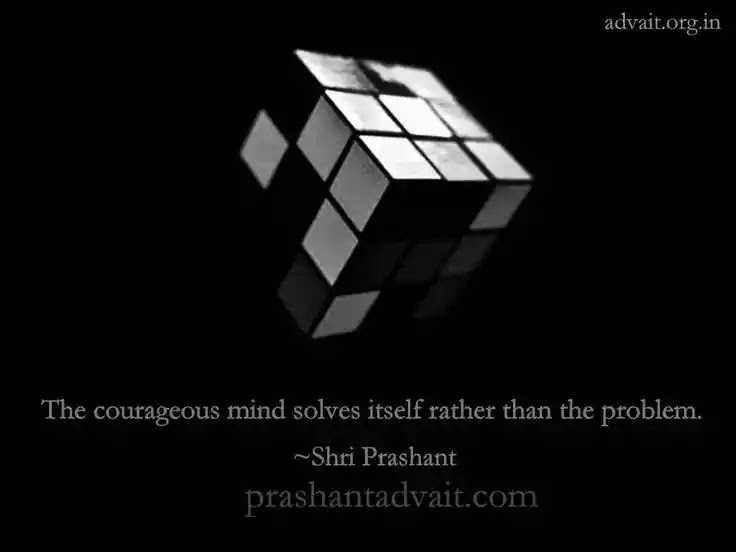 Solve the mind. Dissolve the mind, and all the answers will be there. Because then, no answers will be needed. How do i know whether i am aware? what really is a loving relationship? What is Ultimate Desire of a Human being? How do I get rid of my restlessness? How to help others see the truth? Why do I need to take care of world’s problems? How can I overcome my ego? What kind of relationship is called friendship? Why do thoughts keep changing? Why am I so attracted towards the body of girls? How can I know what is my real identity? How money should one should have to be satisfied? Why cannot I make others understand? What is creativity and How to achieve it? Why do we get emotional? Do Good and Bad really exist, as moral values? Can space and time really bend? How can one be self motivated? How do I know whether I am right or wrong? Is it selfish to think about myself? Why I am not able to stick to my plans? Do Paradise and Hell exist today? How do I know my religion? What is the origin of family jealousy? What is the meaning of mutual friendship? Why are people envious of each other? Which kind of friend do you prefer? What was the highest heaven? Do all saints go to heaven? If you are good will you go to heaven? How friendship help the society? How do atheists see problems? Do you get to pick to go to heaven? How does an athlete show good leadership? Is it too late to go to heaven? What type of personality is the most beneficial? How well do you communicate with others? Do Hindus believe in war? What is the way of baptisms for the Hinduism? Can the newborn can go to heaven? What is a courageous friend? What is a collegial relationship? What is freedom from fear? What are some facts about the great fear? Why do you have a ambition? Why should you have good habits? What is the definition of creative? What the role of a supportive friend? What is direct peer pressure? How do you know the truth? When you commit suicide do you go to heaven? What does direct relationship mean? How you can develop your personality?